Vshare is one of the best Chinese apps store for iOS iPhone/iPad to download and install paid mods and patched applications and games to your iphone for free, in addition to some of applications that is fighting Apple and prevent them from taking place on the official store Appstore. So, we can said that vShare is one of the best alternative to Appstore, also it a great cydia alternative without jailbreak. vShare is similar to AppCake, Tutu Helper and Install0us but it contains more in the way of paid games and apps for free. 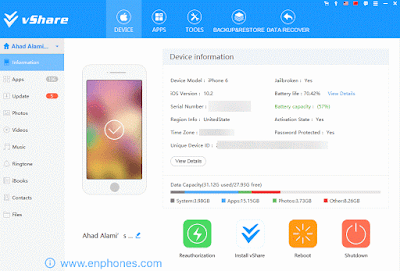 today we will be discussing on the steps to get this store installed on your device for iOS 9.3/9.2/9.2.1 or iOS 9.1/9/9.3.2 2017 versions. 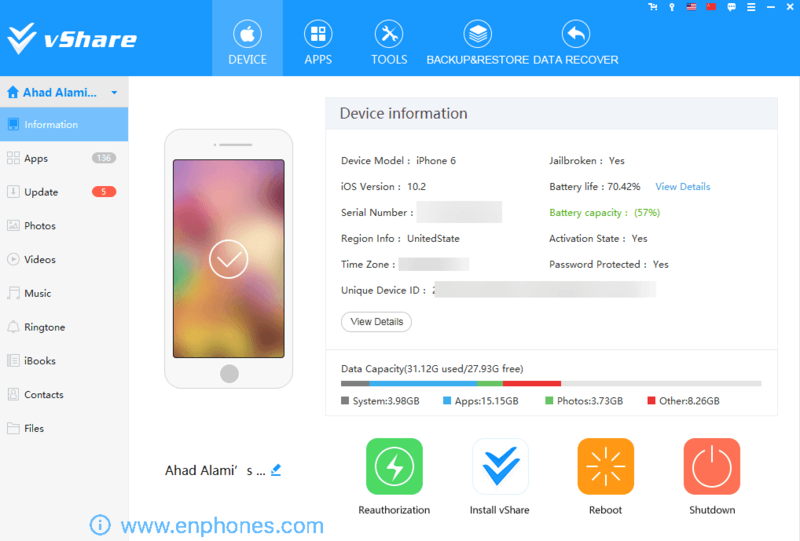 This app can be installed without jailbreak and the steps to achieve so are written in this article, you just need to follow :). How to install vshare on iOS devices without Jailbreak? 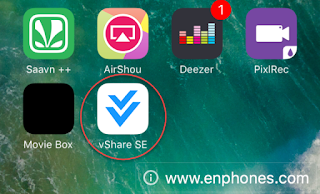 So without talking any further here is the method to download and install vShare without Jailbreak on ios 10. 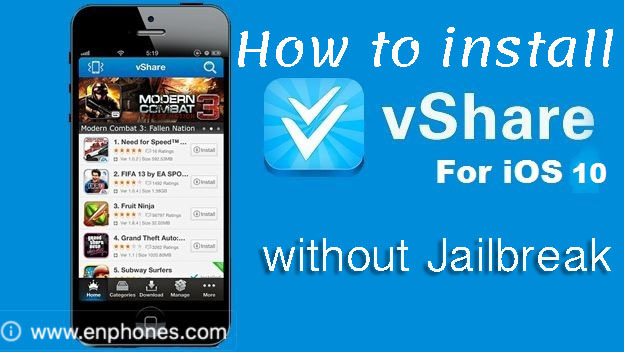 You Dont need Jailbreak or cydia to install vShare. This tutorial Supported all apple devices. You need a Windows PC for installing vshare. 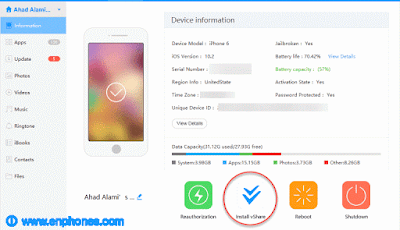 To install vshare store on your iphone ipad ios without Jailbreak, please follow these steps. 1. Go to http://www.vshare.com on your laptop or PC having windows operating system and download vShare helper installer (about 54mb). 2. 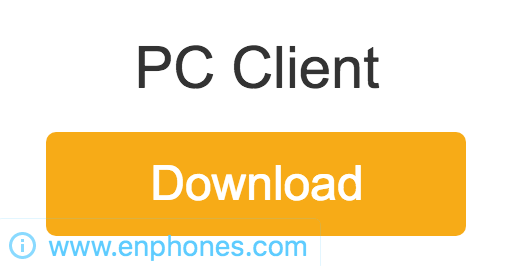 Open vshare installer and install it on your pc. 3. After installing, open it and connect your iPhone, iPad , ipod to install vshare ios 10 on your iOS device. 4. After connecting, Tap on the blue icon for vShare, this will install vShare Professional onto the iOS device connected to the computer. 4. Now, check your iphone. the app is will be installed! 5. Now you need to Click the Reauthorization, just click on the blue icon. That's it! 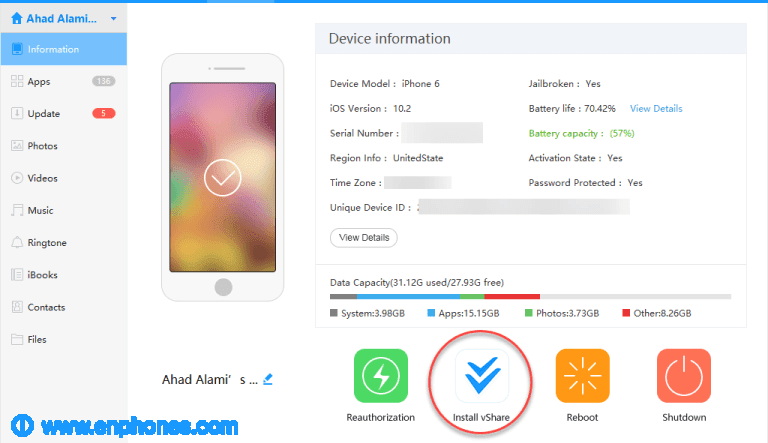 You have successfully installed vshare without jailbreak on your ios10 device (2017) using the new method. You can enjoy downloading and playing new paid and mods games and apps.